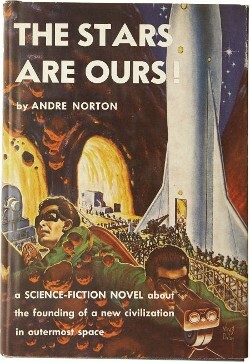 Andre Norton’s The Stars Are Ours! (1954) was one of my favorite books in early childhood. Dard Nordis, his young niece Dessie, and her crippled father Lars eke out a living on an impoverished farm under the tyranny of the ironically named “Company of Pax.” Pax came to power after nationalist forces seized the space stations built by independent-minded Free Scientists and used them to devastate much of the Earth. Turning people against scientists in a bloody purge, Pax imposed a worldwide dictatorship. Lars is a former scientist, and the family is suspected by neighbors and “Peacemen” alike. Dard discovers that Lars has been secretly developing a form of suspended animation as the final step in a project carried out by renegade Free Scientists. 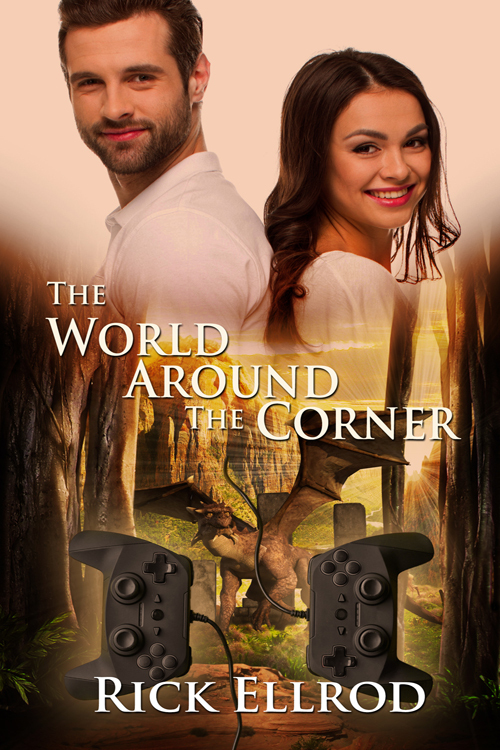 Under the current world order, their only hope is to escape Earth altogether. When Lars is killed, Dard and Dessie make the perilous journey to the Cleft, bringing the secret of Lars’ discovery to the hidden Scientists. Dard helps fight a desperate rearguard action to hold off attackers while the star ship is prepared. He is bundled aboard at the last moment and the refugee Scientists take off into the unknown. What makes this tale so gripping, for me, is seeing characters with their backs against the wall, defending freedom, human decency, and rationality: civilization. The ideal of civilization in this story specifically includes the freedom of inquiry that makes science possible. That underlying alliance between reason and virtue is all the more powerful because the characters’ means of escape itself involves dramatic scientific advances. The motif of scientific civilization is, of course, a natural fit for science fiction. But it’s well-grounded in basic humanity. Science and technology are what humans do: not the only thing, but a key element. Hannah Arendt, among others, spoke of Homo faber, humanity the maker. The idea of humans as makers and builders is not limited to what we think of advanced technology. Blacksmithing is technology. Agriculture is technology. Using spears against mammoths is technology. It’s a matter of degree. As noted above, science is not everything. We are not only homo faber but also organic beings, the animal laborans, as well as acting persons who relate to each other in uniquely personal ways. (Not to mention philosophers.) But in building a civilization, the scientific and technical mind is of great importance. Stories that play out the relationship between science and civilization can be tremendously moving. “Why them?” asked one of the young fans. Niven and Pournelle called on a similar idea in Lucifer’s Hammer (1977), where isolated groups struggle to hold onto civilization after a disastrous comet impact. Part of the climax involves the fight to sustain a nuclear power plant, the only remaining source for electricity—and all that electricity makes possible, from hot showers to antibiotics. Many of the survivors are reluctant to risk their precarious security for this “luxury”—until one of the remaining astronauts shames them into it. “So. We’ll live. . . . As peasants! . . . But . . . don’t we want to hope for something better? Of course this high regard for scientific civilization is not the only side of science fiction. It isn’t even the most prevalent. All sorts of SF stories preach the dangers of technology instead. Many of them show a common yearning for a simpler, pre-technological age. I’ve mentioned that Edgar Rice Burroughs’ Mars—Barsoom—has a peculiarly archaic flavor, as exemplified in the stories’ fondness for swordfighting even when more effective combat technologies are available. Burroughs’ idealization of the primitive is even more prominent in his more famous creation, Tarzan. Tarzan is a paradigm of the “natural man,” with an instinctive decency and even chivalry that belies his savage habits. The Tarzan tales play into a widespread fascination—I’ve got it too, right alongside the enthusiasm for technology—with the ideal of living close to nature and putting aside artificiality. Back-to-nature paradises are endemic in SF, especially when ecological advocacy gets mixed in. 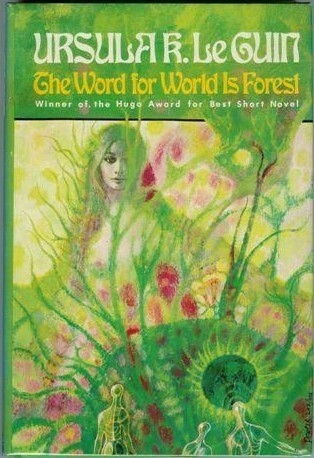 Ursula K. LeGuin’s The Word for World is Forest (1972) is a classic example of such a story, as the title alone makes clear. The movie Avatar (2009) hews to a similar plotline. Even Norton’s sequel to The Stars Are Ours!, published three years later as Star Born (1957), pits the Terran colonists, now reverted to a more natural lifestyle, against the suspect technology of “Those Others,” in a contrast more characteristic of Norton’s later work. Sometimes a group seeks to colonize another planet in order to “get away from it all” and return to a more natural lifestyle. Anne McCaffrey’s Pern was settled in exactly that way. In Christopher Stasheff’s Warlock series, the original colonists of the quasi-fantasy world of Gramarye actually belonged to the Society for Creative Anachronism and aimed to set up a society modeled on an idealized Middle Ages. The subgenre of desert island or castaway stories such as The Swiss Family Robinson frequently showcases an opportunity to live a more primitive life in an island paradise—though “Robinsonades” as a whole include a variety of attitudes toward the primitive. Yet such desert-island excursions can also provide an opportunity to build your own civilization from scratch, technology and all. 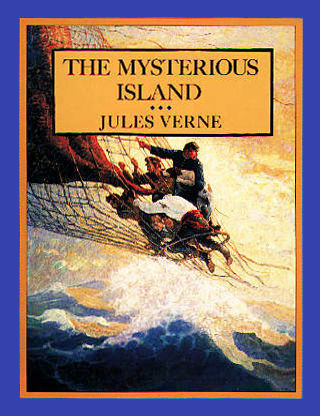 In Jules Verne’s The Mysterious Island (the 1874 novel, not the maladapted movies), a band of energetic American castaways, headed by a capable engineer, construct a remarkably sophisticated settlement, with such modern conveniences as telegraph lines. Heinlein’s Tunnel in the Sky (1955) shows a group of young people stranded on a far planet creating a new society that includes such technology as they can muster—together with close attention to the structure of society and form of government, of which more anon. These latter examples, in contrast to the pull of the primitive, remind us that humans are by nature makers and builders. For us, technology is natural. And science, which underlies technology, helps satisfy the fundamental human drive to understand the universe. In a civilization, science ranges itself on the side of order. It involves rigorous thought and discovery as a method, and gives rise to reliable technology and innovation as results. It’s not opposed to a modest degree of chaos—which fuels innovation—but it relies on cultural features like free communication and freedom of speech that are enabled by good organization. When we consider the preconditions of doing science, or of beneficial technologies, we begin to see the connections between scientific civilization and certain kinds of social arrangements. This leads naturally to our topic for next time—civilization and the rule of law. As always, this was a well thought-out and -executed post. We are all makers, I believe–creators because we are created beings. Would you consider Douglas Adams’s works sci-fi or fantasy or something else? A hybrid? I don’t know if Verne is to everyone’s taste. In a way, the 19th-century diction and his tendency to fall into enthusiastic but exhaustive lectures — say, on the types of animals found on Lincoln Island — might be more congenial for a child eager to learn things than for a modern reader brought up on Lucas and Spielberg. And then there’s the translation issue. If you want to try one, Around the World in Eighty Days is relatively short, snappy, and humorous — and even has a romance, which is rare for Verne. I’d call Adams science fiction. Goofy SF, comic SF, and such don’t need to hew real closely to actual science; but he’s clearly playing with SF conventions, rather than fantasy conventions (as with Terry Pratchett).